Alright, I may have cheated on Fez, but I stayed with the indie darling regardless. Have no doubts, Fez offers a bounty of clever and mind-bending ideas that will burst your brain into a million piece. There is a good time to be had, even if you transgress and seek out the internet hive-mind for help solving any one of the game's maddening puzzles. However, as I keep venturing down Fez's 2D/3D(/4D?) rabbit hole, I am finding the "good times" harder and harder to locate. The more Fez deviates from the norm, the less attentive I become. 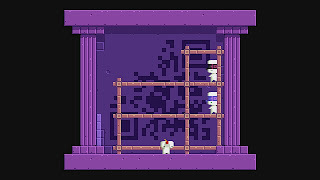 I feel as though my reactions to Fez's more mind-bending puzzles completely contradict their intended purpose. Some of the the game's tricks should be downright shocking, and they were... at first. I smiled with glee when the game first pretended to glitch and toss me back into the start menu, and I was delightfully surprised when I realized the runic scribblings scattered across the game's many stages were actually written words, some filling in the flavor of the world others offering solutions or further riddles to the many mysteries of Fez. The game plays with the genre and completely shatters expectations. Few games dare to upend convention so completely as Fez. For this reason alone, its existence is exciting and long-overdue. That being said, the longer I play the more Fez feels like a jumbled speech composed of passionate soliloquey, tedious exposition, and half-crazed prophecies. I genuinely enjoy the vast majority of the game's platforming puzzles. It is a thrill to take a flying leap though a twisting environment to grab a cube and a joy to unlock the mechanism that opens a hidden door. Yet progressing demands I leave some of these puzzles behind, to explore a doorway, to take time thinking about the solution, or simply because some puzzles cannot be solved unless certain states are met in other stages. Even with three dimensional map in hand, finding the rooms again and retracing your steps can become painfully tedious. The few teleportation windows in the game feel like puzzles themselves and only warp players inbetween hubs. Quick travel is off limits, so getting to those "good times" can far too long. Most significantly, the jarring "out-of-the-box" puzzles have quickly turned from clever to gimmicky. That QR code puzzle which at first seemed so cool now feels weird and misplaced. I had to leave the world of Fez behind while I searched for my phone in the other room, unlocked it, downloaded the QR code reader I deleted long-ago because the technology seemed increasingly irrelevant, and lined up the camera to my television. This may sound like a childish rant against a minor inconvenience, but when I was enjoying the atmosphere of Fez so much, the act of accessing a device that is practically designed to distract me with work emails and push-notifications felt intrusive. To a lesser extent, I felt the same way about the long strings of text I attempted to translate with pen and paper before turning to an online resource. Even the vibrating controller puzzles feel less inspired with every one I encounter. Fez breaks out its genre mold and carries me with it. Venturing into such unknown territory, particularly in its early moments, feels absolutely liberating. However, long after the lessons have sunk in, I find myself more eager to stay in the game for more than five minutes and settle down for something a bit more by the book. Fez reminded me of one of the more recent podcasts where you talked about the "right" way to play video games. While playing Fez, I was convinced that the "right" way to play it was to avoid spoilers and solve all the puzzles/riddles on my own. However, with the later puzzles I was completely stumped and turned to every adventure gamer's best friend, Google, for help. I was particularly surprised by the "black monolith" puzzle which nobody on the internet has figured out how to solve it. They've figured out the button codes but don't know the reason behind them. 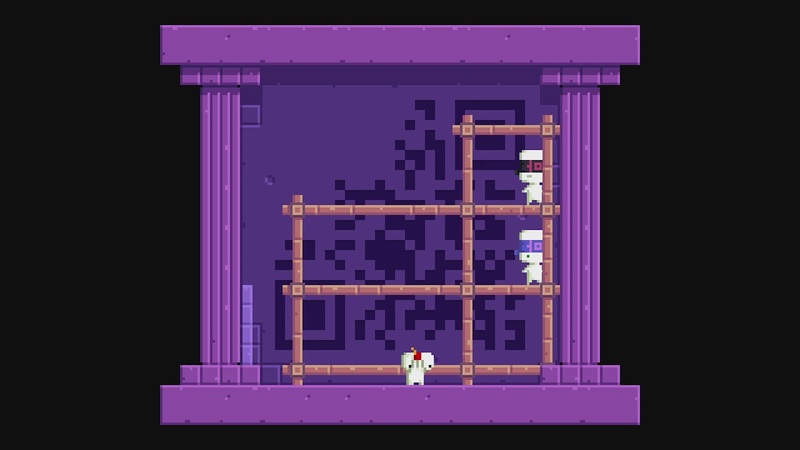 It got me thinking that maybe I was originally playing Fez wrong and that the way Fez was intended to be played was collectively through sharing secrets, hints and answers with your fellow gamers. That, or I wanted to justify the fact that I had to Google some answers. I had that same podcast on my mind too actually. I agree, I think the right way is in a communal setting. My only fear is that by tapping into the out-of-game resource, I'm less likely to return to game at all. Of course that has more to do with some of the less-entertaining aspects of Fez than the simple allure of watching a "Let's Play" video.